Minecraft Xbox One, PS4: Horse Sculpture Screenshot Teased by 4J; Are New Skins Coming? “Minecraft” for the Xbox One and PlayStation 4 will come out in August at an unspecified release date. Developer 4J has given a few updates about the game on Twitter, posting screenshots, including one about the view distance. PlayXbla.com posted photos of a horse head sculptures in the game to highlight the distance for the Xbox One. “These famous sculptures are in Falkirk, Scotland! Check out the links below to learn more about them,” it says. According to recent reports this week, “Minecraft” has sold more than 54 million copies across all platforms since it was released. “Minecraft console editions together just passed Minecraft for PC/Mac. And across all platforms we’ve sold almost 54 million copies,” tweeted Mojang’s Patrick Saga. “Over 13 million copies of Minecraft sold on Xbox360 and over 2 million copies sold on PS3. Yey! Thanks all for the awesome support!” another developer wrote. IGN said Xbox 360 and PS3 editions of the game have sold more than the PC and Mac versions. Those figures should only increase when the game is released for the Xbox One, PS4, and PS Vita. -Minecraft: Xbox One Edition will be released on Xbox Live Marketplace in August. It brings significantly bigger worlds and a greater draw distance than Xbox 360 Edition. -It will include all the features from the most recent Xbox 360 title update. -Minecraft: Xbox One Edition will cost $19.99. -If you’ve bought Minecraft: Xbox 360 Edition from Xbox Live Marketplace, or played online with the disc version, you will be able to upgrade to Xbox One Edition for $4.99. 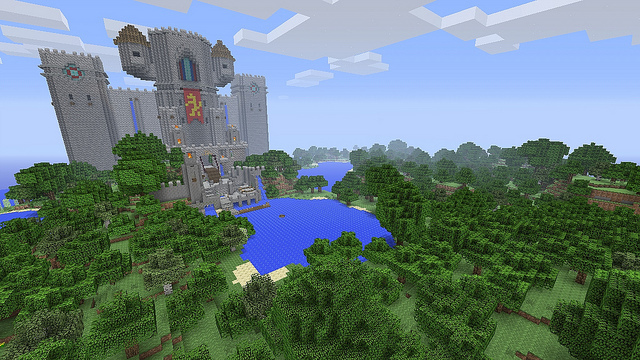 -Players with Minecraft: Xbox 360 Edition saves will be able to import their worlds to Xbox One. Unfortunately, you won’t be able to transfer saves from Xbox One to Xbox 360. We can make worlds bigger without too much stress, but shrinking them causes all kinds of problems. -Cross platform play will not be possible between Xbox 360 and Xbox One. -Many, but not all, of the DLC skins and texture packs you’ve purchased for Xbox 360 Edition will be available for use in Xbox One Edition. We’d like to say all your DLC would transfer, but some of the items are trapped in licensing deals that are too boring to get into here. We’ll have more on this soon. -Minecraft: Playstation 3 + Vita Edition will be available on the PSN in August. -We are working closely with Sony Computer Entertainment to look into ways to enable upgrade from the Blu-ray disc version of Minecraft: Playstation 3 Edition to Minecraft: Playstation 3 and Vita. We’ll have more info on this closer to release. -Minecraft: Playstation 3 + Vita Edition will cost $19.99. -It doesn’t matter if you buy for PS3 or Vita first, you own the game for both platforms. -Saves are transferrable between the Playstation 3 and Vita versions of Minecraft. You will be able to craft at home on your Playstation 3, then continue on the bus/toilet with your Playstation Vita. -All of the DLC you’ve purchased for Minecraft: Playstation 3 Edition will work on Playstation 3 + Vita Edition. -Minecraft: Playstation 4 Edition will be released on the PSN in August. It brings significantly bigger worlds and a greater draw distance than Playstation 3 + Vita Edition. -It will include all the features from the most recent Playstation 3 version. -Minecraft: Playstation 4 Edition will cost $19.99. -If you’ve bought Playstation 3 Edition from the Playstation Network you will be able to upgrade for $4.99. -You will be able to upgrade for a minimum of a year after the release date. -We are working closely with Sony Computer Entertainment to look into ways to enable upgrade from the Blu-ray disc version of Minecraft: Playstation 3 Edition to Minecraft: Playstation 4 Edition. We’ll have more info on this closer to release. -Players with Playstation 3 Edition or Playstation 3 + Vita Edition saves will be able to import their worlds to Playstation 4. Unfortunately, you won’t be able to transfer your saves from —- -Playstation 4 to Playstation 3/Vita. There are technical reasons for this; we can make worlds bigger without too much stress, but shrinking them causes all kinds of problems. -Cross-platform play will not be possible between Playstation 3 + Vita Edition and Playstation 4 Edition. -Many, but not all, of the DLC skins and texture packs you’ve purchased for Playstation 3 Edition will be available for use in Playstation 4 Edition. We’d like to say all your DLC would transfer but some of the items are trapped in licensing deals that are too boring to get into here. We’ll have more on this soon.